Sophomore post Jake Hecker (Bloomfield Hills, Mich.) hit a pair of timely baskets that helped Ohio Wesleyan open up a double-digit lead and senior guard Nate Axelrod (Dublin/Coffman) set a school record as Ohio Wesleyan outlasted Oberlin 78-71 in North Coast Athletic Conference play on Saturday at Branch Rickey Arena. Ohio Wesleyan broke a 5-5 tie with a 7-0 run that included a pair of Axelrod lay-ins sandwiched around a 3-pointer by sophomore guard Jaret Gerber (Worthington/Thomas Worthington). That 7-point margin would be the Bishops’ biggest lead of the half, however, as the Yeomen kept the margin within 2 possessions for the remainder of the half. Senior guard Seth Clark (Lewis Center/Olentangy) connected on a pair of 3-pointers early in the second half to stretch a 37-36 lead into a 43-36 margin, and after the Yeomen rallied with a pair of hoops by Andre Campbell, sophomore post Grant Gossard (Westerville/Olentangy Orange) answered with a lay-in and Hecker knocked down a 3-pointer to give Ohio Wesleyan a 48-40 lead. The visitors were still within 53-46 midway through the second half when a Hecker lay-in and a 3-pointer by Gerber pushed the Bishop lead into double figures for the first time, and when Gerber connected on a 3-pointer with 5:34 remaining, Ohio Wesleyan had its biggest lead of the game at 61-48. Ohio Wesleyan still led, 66-56, after a Hecker jumper with 2:45 left, but Oberlin rallied with a 3-pointer by Evan Suppa and a lay-in by Joshua Friedkin to close to within 66-61 with 2:11 to play. Axelrod answered with a 3-point play on Ohio Wesleyan’s next possession and Hecker followed with a 3-pointer to make it a 72-63 game with 1:02 remaining, and the Bishops went 6-for-8 from the free throw line during the final minute to seal the outcome. Hecker led the Bishops with a career-high 16 points. Gerber finished with 15 points, matching his career best. Clark added 14 points, Gossard finished with 11 points, and junior wing Chris Allocco (Hilliard/Bradley) grabbed a team-high 7 rebounds. Axelrod scored 13 points and led the Bishops with 9 assists, moving his career total to 604 assists. He is the second Ohio Wesleyan men’s basketball player and the fourth in NCAC history to surpass the 600-assist plateau. Axelrod also started his 105th consecutive game at Ohio Wesleyan, breaking the school record of 104 consecutive starts set by Justun Lott from 1991-95. Campbell led Oberlin with 29 points. Senior guard Kayla Richard (Minster) and junior guard Erin Delaney (Toledo/Notre Dame Academy) each had a pair of baskets during an 8-0 run that gave Ohio Wesleyan the lead, but Oberlin countered with a run of its own and went on to a 66-41 North Coast Athletic Conference win over the Bishops on Saturday at Branch Rickey Arena. The Yeowomen had opened the game with baskets from Abby Andrews, Ally Driscoll, and Alex Stipano to take a 6-0 lead. 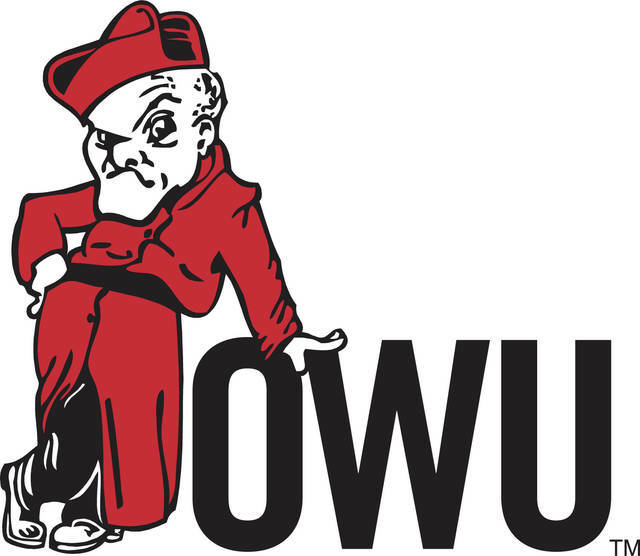 Ohio Wesleyan stormed back with a pair of buckets less than 30 seconds apart. Richard stole the ball in the backcourt and went in for a lay-in that put the Bishops on the scoreboard, and on Oberlin’s ensuing possession, sophomore guard Claire Sterling (West Jefferson) came up with a steal and fed Delaney for a basket. That pattern repeated itself just over a minute later, with Richard stealing the ball and going in for a lay-in to even the score at 6 before Delaney stole the ball and scored just 14 seconds after that to give Ohio Wesleyan an 8-6 lead. Oberlin closed out the first quarter with a 7-0 run, with Andrews and Jasmine Sorrells hitting jumpers from the lane and Cheyenne Arthur adding a 3-pointer, and the visitors added an 8-0 run early in the second quarter, getting 3-pointers from Stipano and Driscoll on the way to a 21-11 lead. Sterling sank a pair of free throws to bring the Bishops within 23-17 late in the second quarter, but Oberlin went on an 8-0 run early in the third quarter to extend the lead to 36-19, and the margin would remain in double digits for the remainder of the contest. Sophomore guard Nicole Popovich (Rocky River) led the Bishops with 11 points. Sterling recorded team bests of 10 rebounds and 4 assists. Stipano had a game-high 18 points for Oberlin.